“Universal wireless display, control text and intensity over MQTT from Node-RED or your phone. Display weather, notifications, time. Wireless matrix LED display which you can place anwhere in your home. Connect to USB charger or power bank for real “wireless” installation. 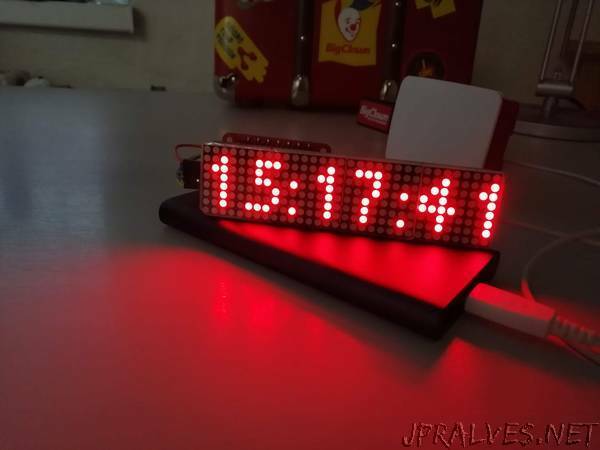 The wireless LED display connects over 868 MHz FSK radio to the Raspberry Pi thanks to Radio Dongle.